This Magento extension allows Customers to track the shipment status and all order information without logging in website. 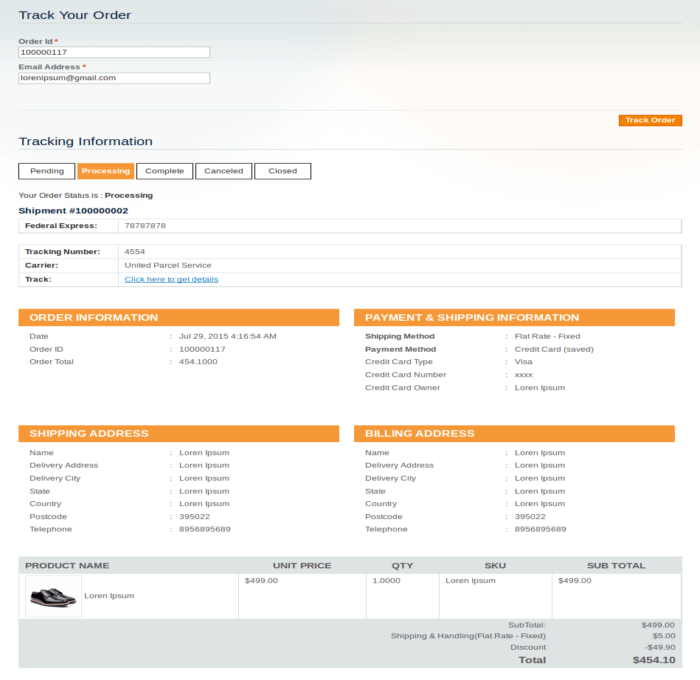 They only need to use order ID and valid email address to track order information. 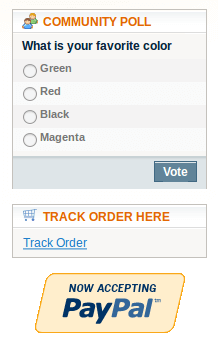 This Magento order tracking extension also allow admin to customize order status label. 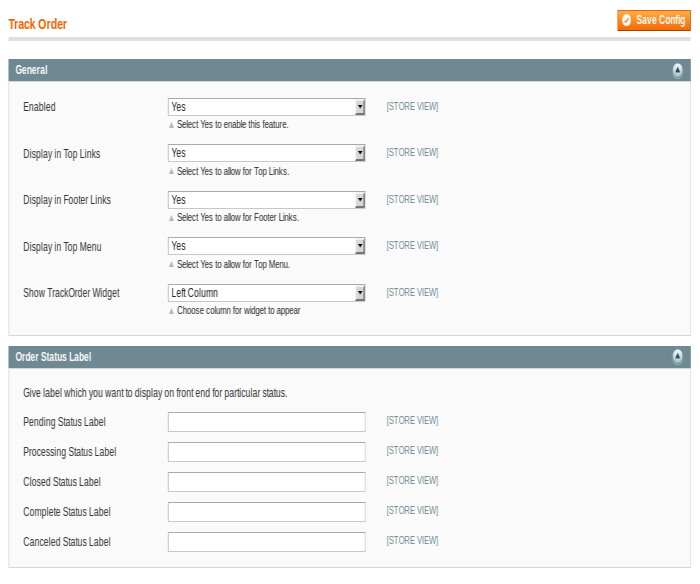 Admin can easily set ‘Track order’ link/widget to any place like Top link, Top menu, Footer link, Left/right sidebar. 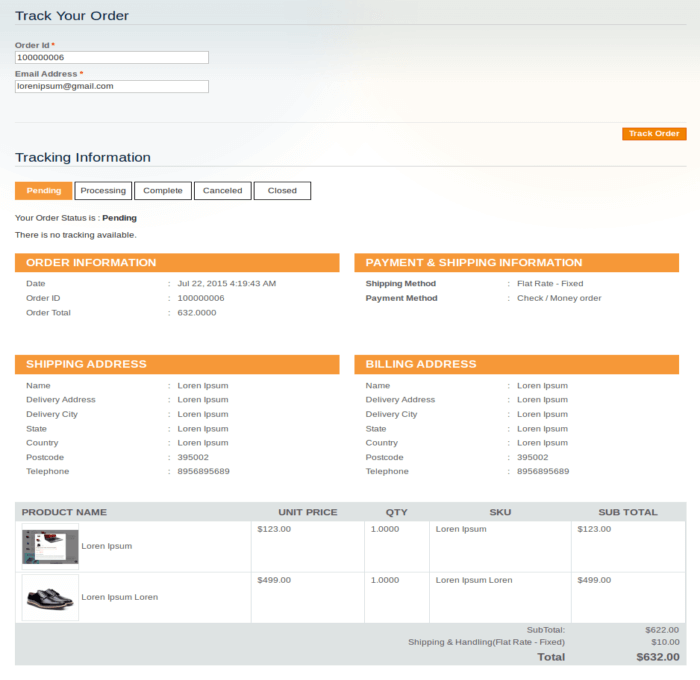 This Extension allows Customers to track their order status and all order information without logging. Thanks a lot for your products and quick support! I have three extensions made by Solwin and all are superb!!! Keep up the good work! 5 stars. 2) Set “Enable” -> Yes. Once the customer enters in their order number does the tracking/order information show up immediately though our website or is the information emailed to them? Order information show up immediately. Can i add ‘Track your order’ link to Main Menu ? Yes. You can add Track your order link yo main menu from settings page easily. Can i add this link to left/right sidebar? Yes. You can set this link to either Left OR Right sidebar from admin settings page. Is it required to do login? No. You can see full order information wothout logging to website.